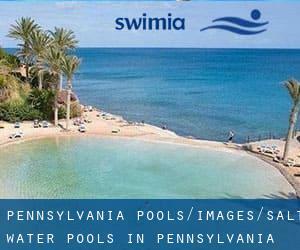 Thanks to some new Salt Water Pools in Pennsylvania submitted on a daily basis, Swimia.com is increasing every day the number of stored pools. Please don't hesitate to contact us in case you uncover any inaccurate or incomplete information and facts. There are normally discounts offered to senior citizen and small children. Find out by contacting your nearest pool in Pennsylvania. Water sports are increasing specifically in elderly population sectors who have suffered some sort of muscle or bone damage. Swimia.com has essentially the most up-to-date database about Swimming Pools. Are you on holiday and want to keep fit and healthy? 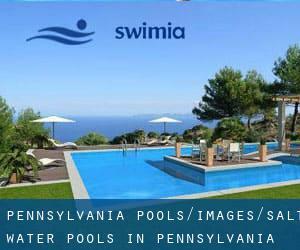 Swimia.com gives you the quick and quickest approach to find pool near Pennsylvania. Most of the Salt Water Pools in Pennsylvania offer you both open lanes for independent swimming and also guided activities like water aerobics or aquabike. Holding an estimated population of 88.082, Reading is one of the most important cities in Pennsylvania. Check all the Swimming Pool in Reading and its surrounding area. Without a shadow of a doubt, swimming in Scranton would be the perfect way to unwind after work. Take a couple of minutes to browse Swimia's catalog to find a Swimming Pool in Scranton. It's difficult to visit Pennsylvania without dropping by Allentown (with 118.032 residents). Presently Swimia is showing you all the Pool in Allentown along with the closest pools located in its vicinity. Let us tell you a secret to switch off while you are in Pittsburgh: just select a Swimming Pool in Pittsburgh and plunge into the water! There's no a lot more effective system. Swimming is a excellent thought to keep your body active during your visit to Erie (Pennsylvania), or even if you are a local. Swimia assists you to find your closest Swimming Pool in Erie. 2880 Michelle Drive , Irvine , CA , USA (Postal Code: 92614). Among all the activities offered by the center, for anybody who is interested in swimming you can expect to take pleasure in 25 yards, 3 lanes, Salt Water, Indoors. Just in case you desire to contact this Swimming Pool prior to dropping by, we only know the phone number. Updated on 2019 4441 Collins Ave. , Miami Beach , FL , USA (Postal Code: 33140). Swimmers like you reported 25 yards x 25 feet, Salt Water, Outdoors. Unfortunately we do not have the email address of this Swimming Pool, but we can give you the phone number. 150 Thunder Trail , Ketchum , ID , USA (Postal Code: 83340). Swimmers like you have reported 25 yards, 6 lanes, Salt Water, Outdoors. Also, you will find 25 yards, 3 lanes, Salt Water, Indoors. If you will need to make contact with this Swimming Pool, email address and phone number are both number. Updated on 2019 290 Old Montauk Hwy. , Montauk , NY , USA (Postal Code: 11954). Swimmers like you reported 20 yards x 35 feet, 2 lap lanes, Salt Water, Indoors. Unfortunately we do not have the email address of this Swimming Pool, but we can give you the phone number. Updated on 2019 Highway 30A , Alys Beach , FL , USA (Postal Code: 32461). Swimmers like you have reported 100 feet x 50 feet, Salt Water, Outdoors. Also, you will find 25 yards, Outdoors. If it is advisable to contact this Swimming Pool, email address and phone number are both number.